I originally wanted to go to Kao Chi on Yong Kang St instead of the insanely popular tourist attraction that is the original branch of Din Tai Fung (Official Site, Tripadvisor), but Kao Chi was under construction and appeared to be closed when we arrived shortly after 10am (it turns out that they did open, but not until 11am on that day). 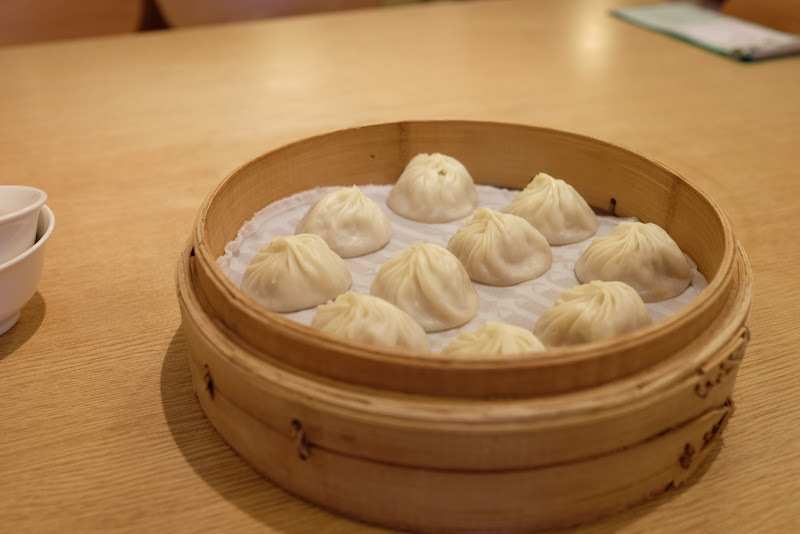 Somewhat reluctantly, we moseyed back over to Din Tai Fung and I got a number. I was rather disappointed that I failed to avoid this mega-hotspot, but in the end, I am glad we came here after all. 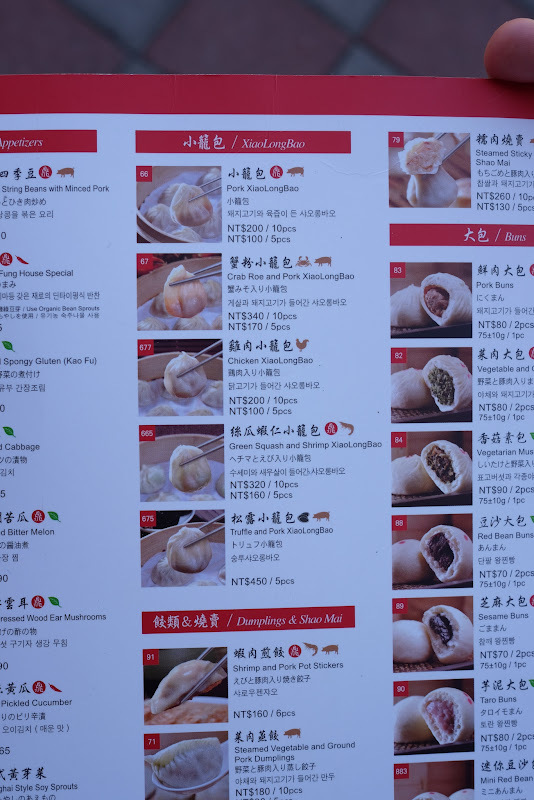 We came to eat xiao long bao (XLB) / soup dumplings (小籠包), so here are pictures of the menu with 小籠包 and other dumplings. They conveniently allow half-orders, so you can try more types if you want. Looking past the throngs of tourists (there were even people who had come straight from the airport, judging by their luggage tags), you will see four numbers on the digital display at the top of the window. The four series of numbers are for different party sizes. 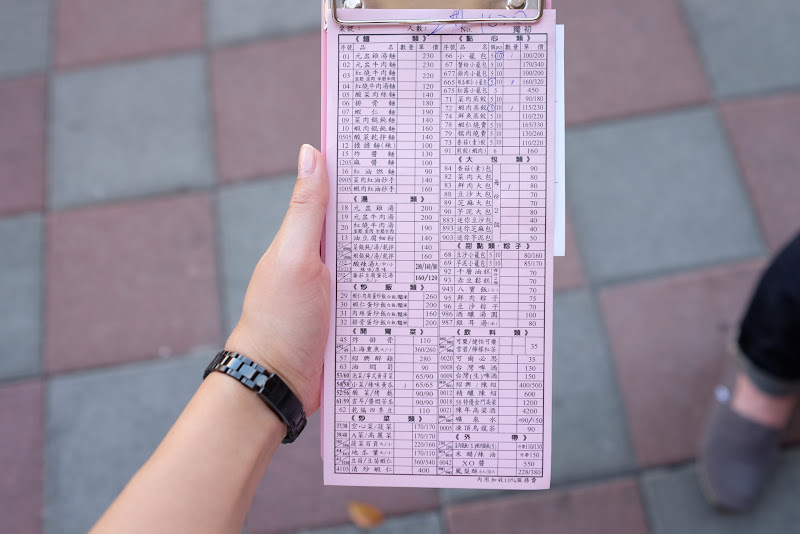 It is so easy to see when your number is coming up, and a pretty nifty system! The party of 1-2 numbers flew by, and I think we only had to wait 10 minutes (granted, it was a Monday). 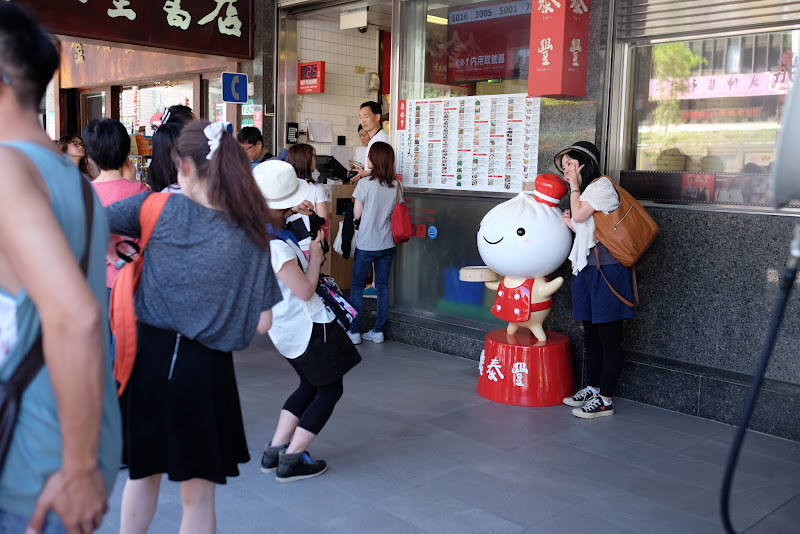 Pretty much everyone was hamming it up with the dumpling mascot. 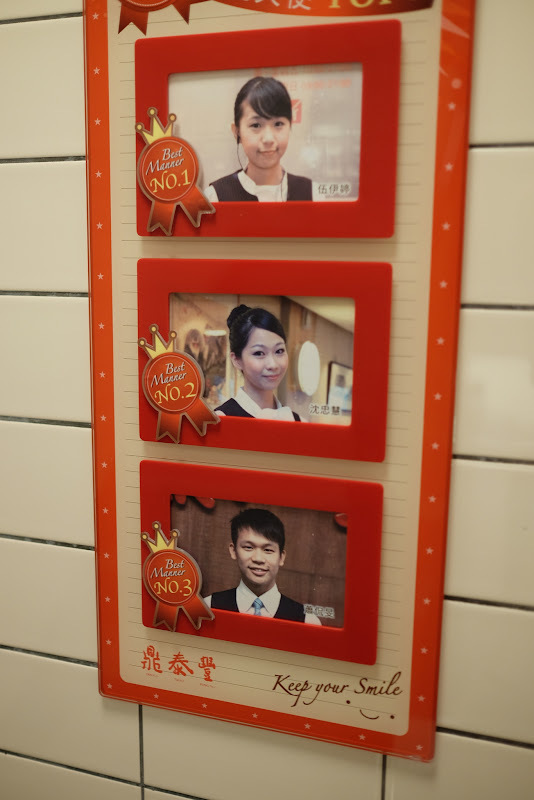 Best Manner employee number #1 assisted us! 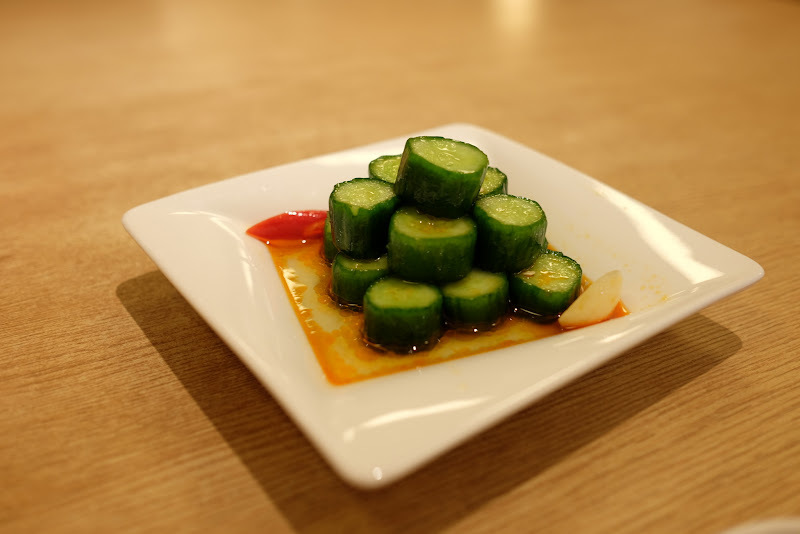 I've always loved 涼拌 cucumber dishes... actually I love cucumber dishes in general. 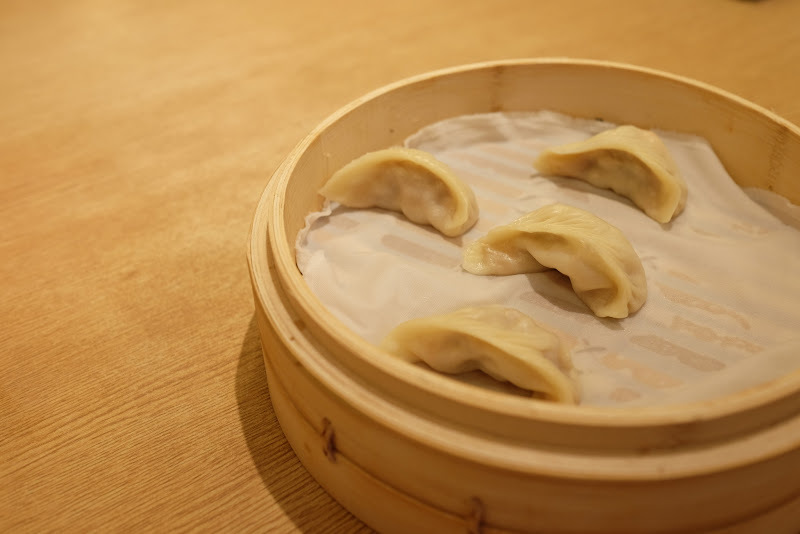 The first time I went to China when I was 7 or 8, I remember my extended family took me and my mother out to the fanciest, most expensive restaurant in their city. When asked what I wanted to eat, I said I wanted stir-fried cucumber. The restaurant had to send a girl to the local market to *buy* a cucumber, because that was just such a COMMON PLACE vegetable, that they didn't have it in the kitchen. 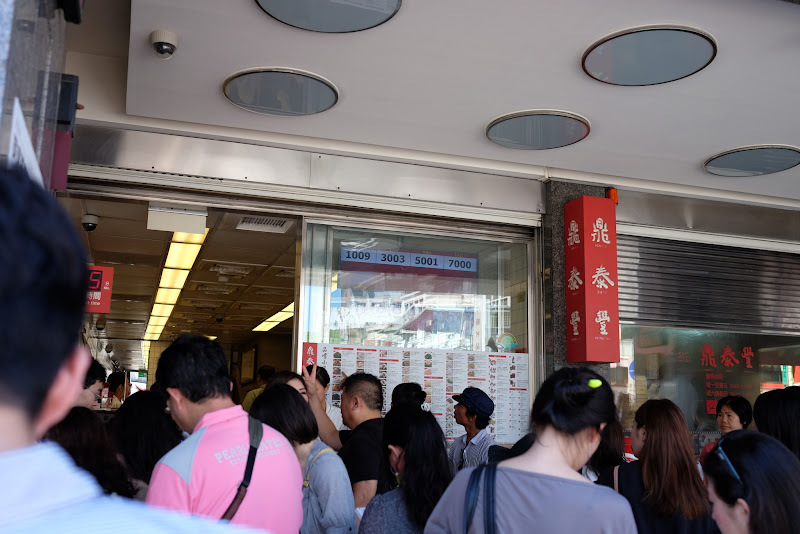 I guess they were overflowing with abalone and shark fin or something. Anyway, my mom loves that story. Does it show that I've always been down to earth, or that I have never had any high-class taste? Hard to say. Cory ordered some pork buns. 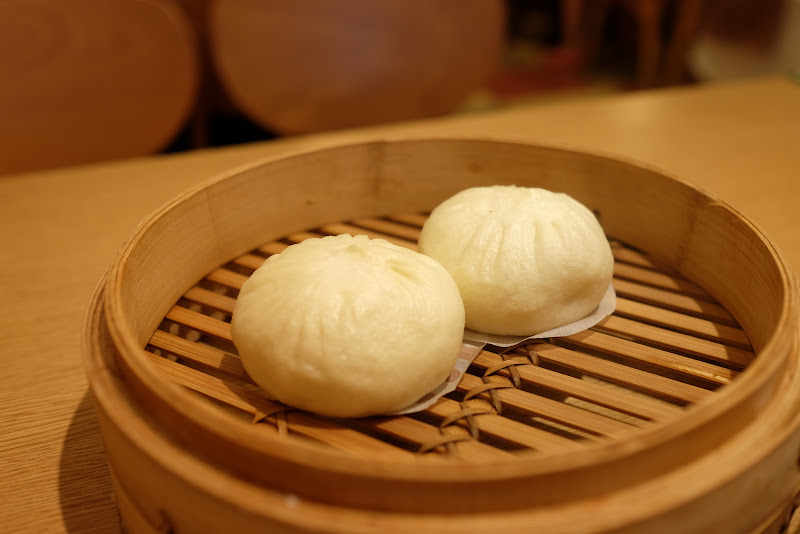 I think he was hoping they'd be Cha siu bao 叉烧包, because he seemed pretty disappointed when they came. I knew what to expect, and thought they were pretty yummy! Shrimp and luffa (si gua 丝瓜). My mom loves si gua, but it's just a hairy, inferior cucumber to me. Why does she have to put it in every soup she ever makes?! 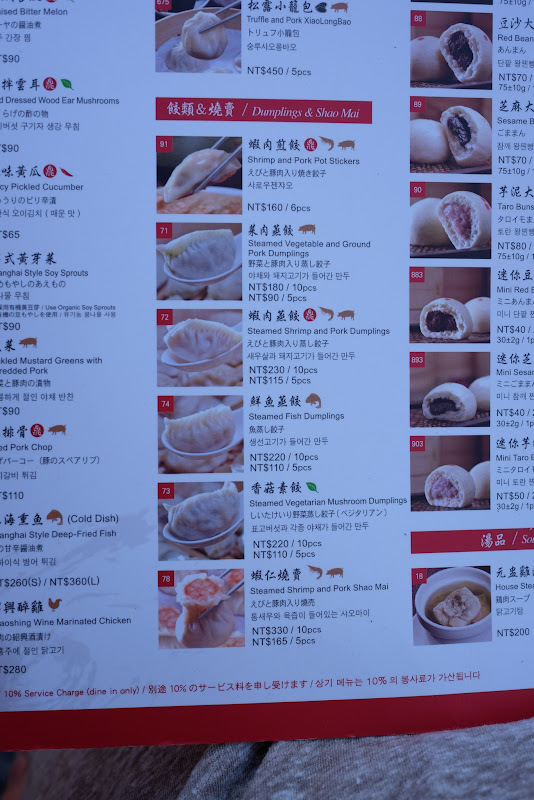 Half order of regular pork dumplings. Not memorable. Workers toiling away in the kitchen on the first floor. They have got to have like 5 more of these in the building; otherwise I can't imagine keeping up with demand for all the 小籠包! Bottom Line: Resistance is futile. 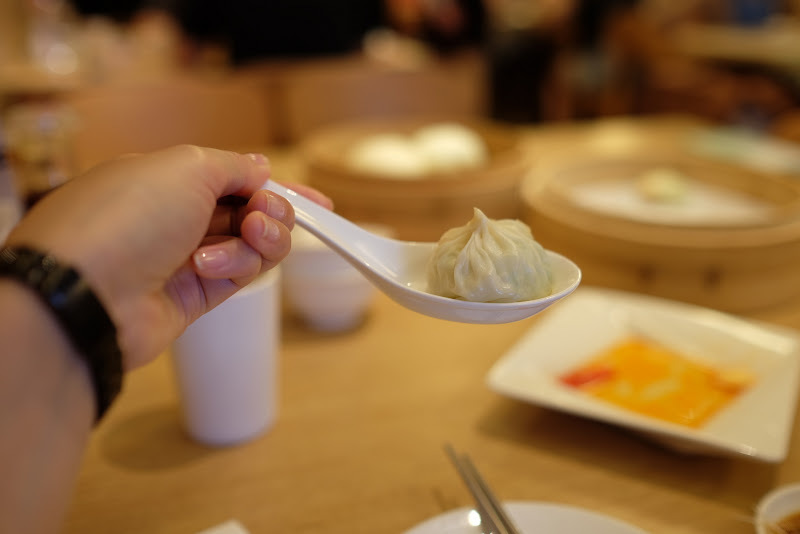 No one is going to pat you on the back for skipping Din Tai Fung. 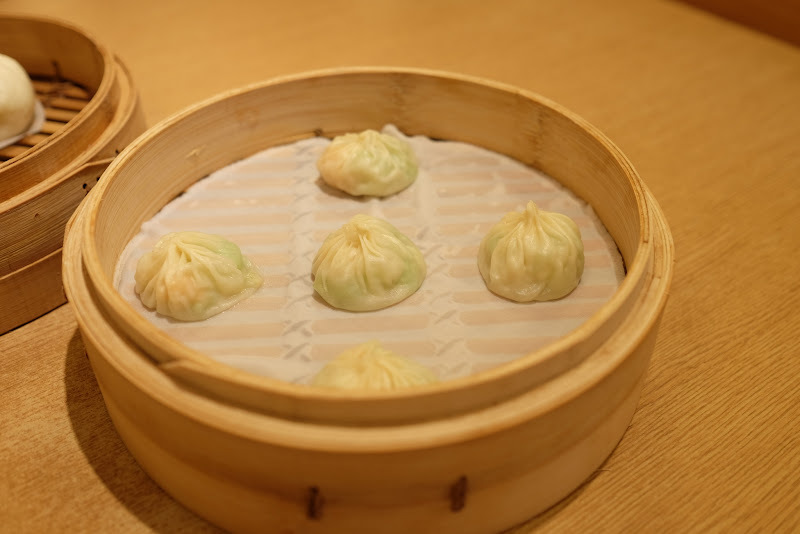 Just do what I did, and eat at another XLB place in addition to going to Din Tai Fung - then make your own decision as to which you think is better. 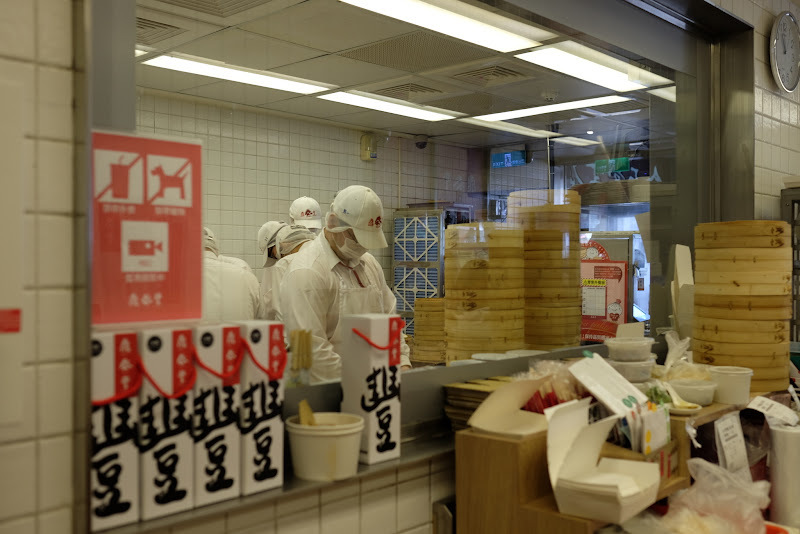 But just give in and go to a Din Tai Fung when in Taipei. 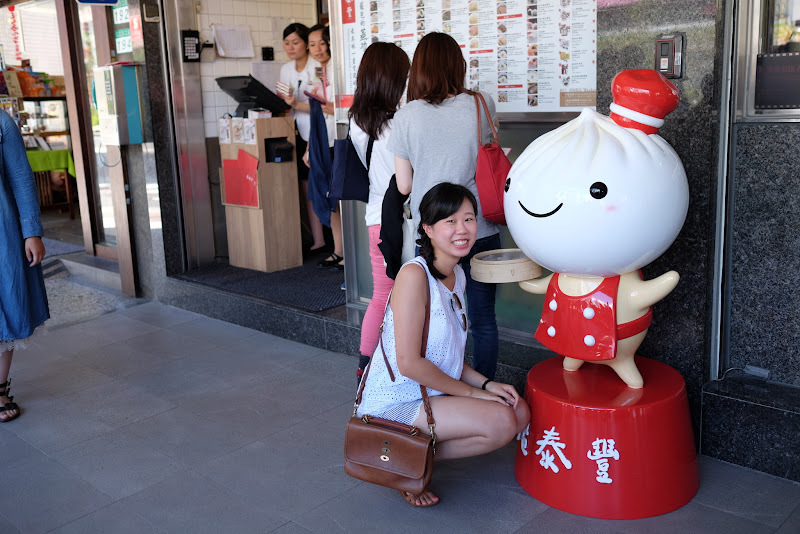 I think it's best to show up close to when they open and/or try any of the other locations in Taipei.